The hottest summer on record saw most Britons whiling away the days (when we weren't at work) outside, sitting on deckchairs fished out from the back of our garden sheds. But for many people, months of sunshine and very few showers presented an opportunity to transform their gardens into rooms of their own – also known as 'outrooms'. 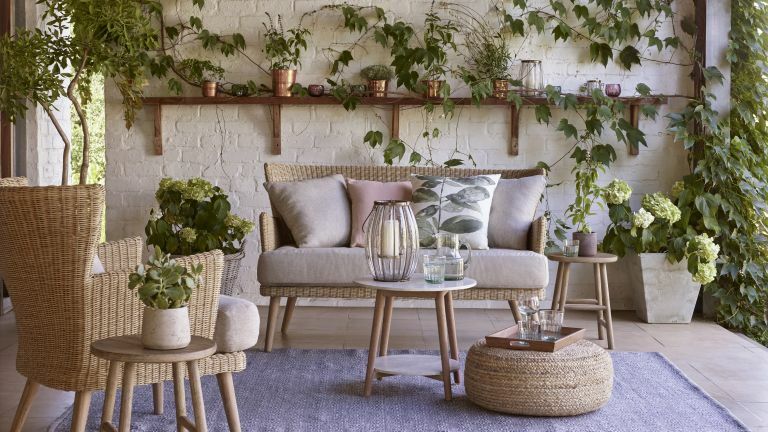 Since this summer, online searches have spiked across the outdoor home sector, with terms like 'outdoor rug', 'outdoor cushions' and 'outdoor sofa' increasing by as much as 34 per cent. Outdoor rooms are a great way to extend your home without any structural work – and at minimal cost, too. But the even better news is that having an outroom can increase the value of your home by up to six per cent. Bi-fold doors are by far one of the most popular ways to create an indoor-outdoor link. A recent survey conducted by Origin among its customers showed that 94 per cent of homeowners use the space differently in their properties after installing bi-fold doors. Quirk adds: 'A combination of unaffordability and uncertain market conditions has seen an increase in the number of people building up, down and out, rather than upsizing to a new property.